News this week, I am going to be opening the sewing cafe, Café Create at the beginning of May, its going to be run from the Marress Sports Centre, lots of ideas for classes/workshops as well as being able to rent a machine by the hour, tea and cake, help and advice always available. My aim is to introduce a social setting for sewing and knitting, to re-introduce these skills to people and to teach those who have never learned………………..and have fun with it. 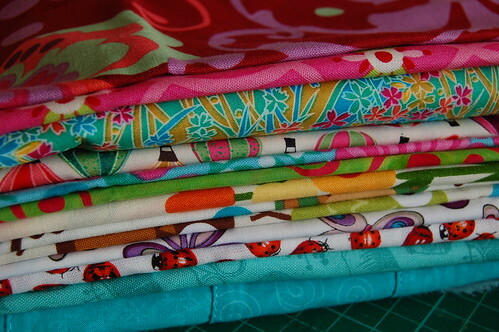 More news of opening days soon, I’ll leave you with some pretty fabric to look at. Please can I come and live near you? Sounds brilliant! Why do I live at the other end of the country?! That is so exciting, Yvette! I can’t wait to hear more. Please let me know where this place is and my daughter-in-law and I are interested in coming over.